Today, November 10, marks the 242nd birthday of the Marine Corps and tomorrow, November 11, is Veterans' Day. Generations of heroic men and women have sacrificed their time, their energy, their comfort, and, in many cases, their lives to protect the freedom we as Americans value so dearly. In 1921, the thirteenth Commandant of the Marine Corps, Major General John A. Lejeune, issued Marine Corps Order No. 47. This order summarized the history, mission, and traditions of the Marine Corps and was to be read to all Marine commands throughout the world each year on the 10th of November. 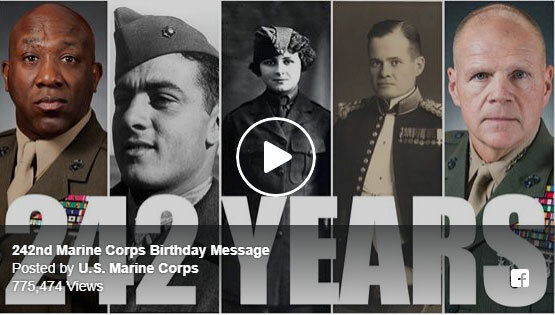 It is now referred to as the "Marine Corps Birthday Message", and it is issued by the Commandant of the Marine Corps. This is a limited edition coin. There are only 500 of this design created. When they are sold out, we will not be replacing them. Order early to assure you get yours. 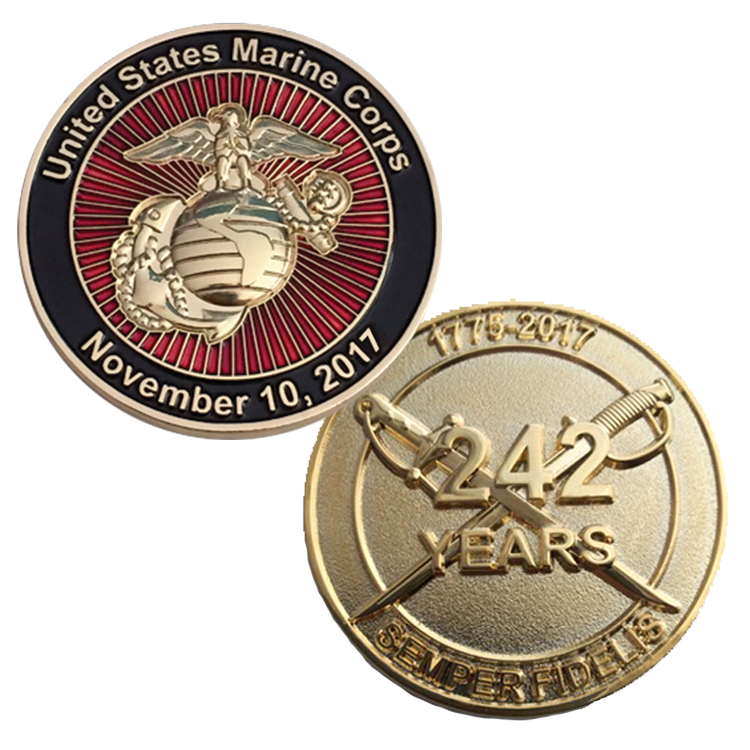 2017 Marine Birthday Coin (44mm) finished in shiny gold, celebrates 242 years of the Marine Corps. The front of the coin features The Eagle, Globe and Anchor with United States Marine Corps surrounding the vibrant red background. The obverse features the classic Marine Corps enlisted and officer swords, crossed, with the text 242 Years. Click here to purchase a coin.